So I’ll admit I am a very late adopter when it comes to fasting. I haven’t experienced it much, and truth is, I get cranky when I don’t eat. However, I have been convicted by how Jesus talked about fasting. He didn’t say, “If you fast . . .” He said, “When you fast . . .” (Matthew 6). He expected his follower to fast. And if you look at the history of fasting you will find that for centuries fasting was a regular practice of Christ-followers. 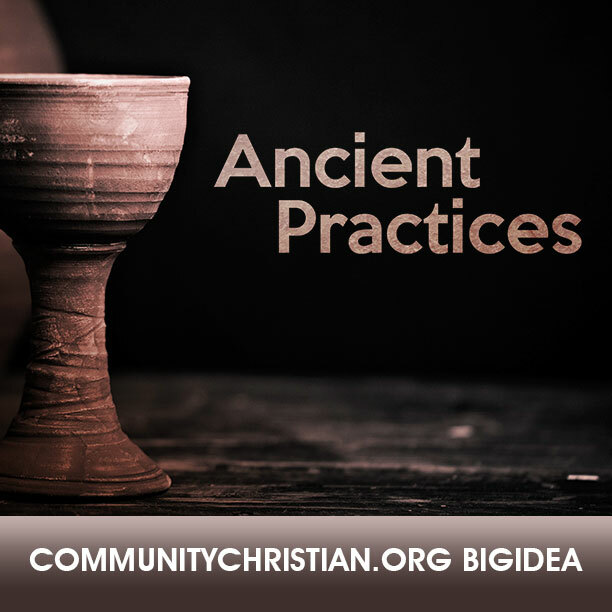 A few weeks ago we started a new series at Community called Ancient Practices where we are challenging our church to take a new look at some old practices of the church. This past week talked about the ancient practice of fasting and how it can help all of us focus in on 2 different aspects of “self.” I know that might sound counter-intuitive, because fasting seems like something to get us to stop focusing on ourselves, but here is what I mean. Fasting helps us develop the muscle of Self Control. It’s like working out and building a muscle most of us have forgotten that we even have. Self-control is something we hear very little about anymore. It’s a forgotten muscle we need to exercise in order to develop. After all, who wants to be known as someone with little or no self-control? Nobody, right? If we don’t learn self-control, we’re left with what? Yes, self out-of-control! And I don’t want to be the kind of person who makes impulse purchases that wreck my finances. I don’t want to be the person who blurts out hurtful words that damage my relationships. I want to be the kind of person who exercises self-control. And fasting is a discipline that can help train my body and my mind to grow in that way. Think about an area in your life where you lack self-control? If fasting could help you with that, would you give it a try? Another way fasting helps develop me from who I am to who God wants to be is that it teaches me to become Self Forgetful. God wants fasting to be an opportunity to enter into the poverty of others. Fasting gives us the chance to become self-forgetful and engage the needs of those around us. In the early church, when someone was in need, Christ-followers would often fast for 2 or 3 days and send that person the food they had prepared for themselves. 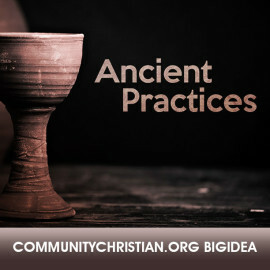 Fasting was something people practiced in order to share with the poor. God’s idea is that when we fast: We DON’T eat so that others CAN eat. We GIVE UP so others can RECEIVE. We do with LESS so that others have MORE. Through fasting I become less focused on me, more focused on becoming the person God wants me to be, and I help others in a very tangible way.